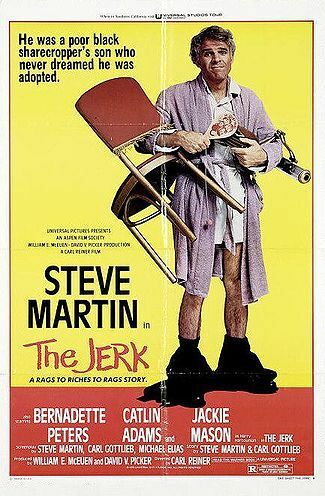 The Jerk is a 1979 American comedy film. This was Steve Martin's first starring role in a feature film. The film also features Bernadette Peters, M. Emmet Walsh and Jackie Mason.